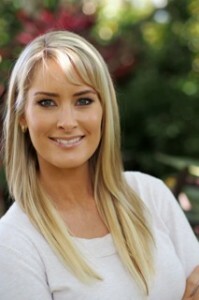 We are very excited to welcome Dr. Lisa Rimmelzwaan to our wellness team at Stafford Chiropractic & Wellbeing Centre. Lisa graduated as a Chiropractor in 2005, and is a diplomate of the American Chiropractic Neurology Board. Lisa will be heading up the Stafford office, and has recently returned to Brisbane from Paraguay! Her approach is first to provide strategies to get you well, then secondly to keep you at your healthiest state possible. Her passion, and three year post graduate studies in Functional Neurology, enable her to assess each level of your nervous system for poor function and then via specific adjustments and exercises create neural plasticity (rewiring the circuits of the nervous system in response to training). As the nervous system is the master controller of your body, Lisa’s focus is to improve the nervous system function of each client, from newborns to seniors, with the aim of you experiencing a greater quality of life and wellbeing. Lisa is able to tailor a program of chiropractic care for each individual, as no two people have the same nervous systems… even if they do have the same symptoms! Call our office today to find out how Lisa can help your body, help you.